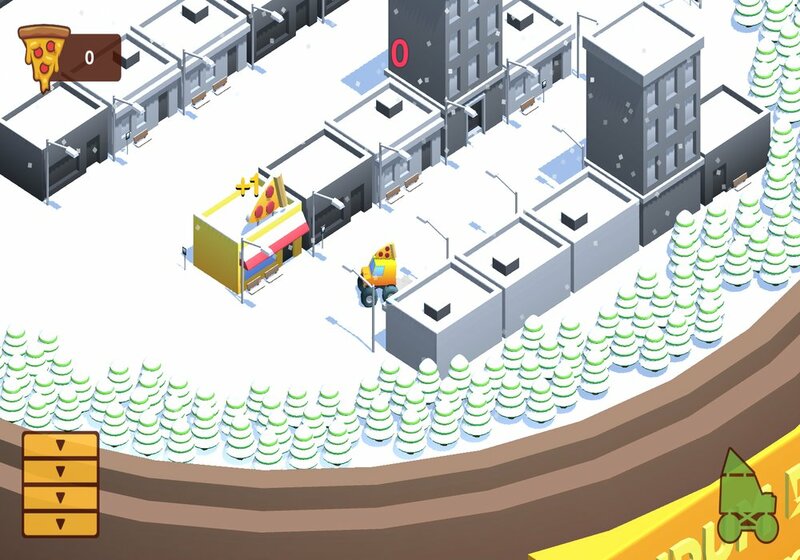 "A simple to play but challenging game"
Every World Has a Pizzeria is a short driving adventure game where you must drive around a 4 wheel truck in the snow delivering pizzas to it's residents, if you are wondering about the games title or the snow it is all explained when you complete (or in our case fail) the first mission and it is then revealed that this is all taking place within a snow-globe. The game is surprisingly challenging and the controlling of the vehicle can take some getting used to especially trying to deliver the pizzas within the allotted time frame. 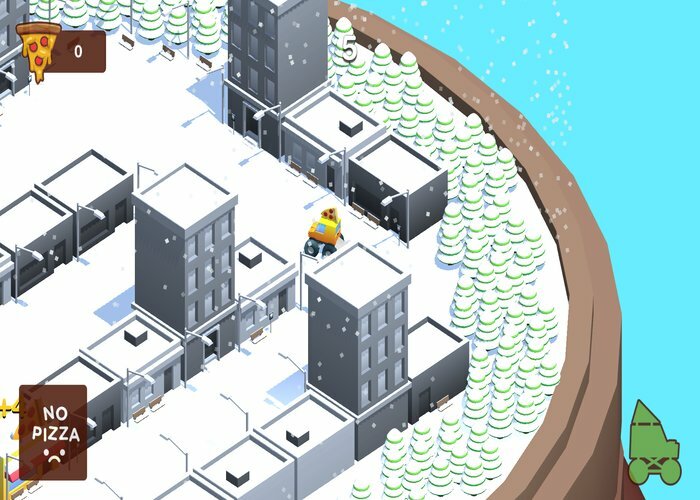 The game looks good in a kind of Micro Machines style but being within a snow globe the world is fairly small, there are a few issues with the game (we highly suggest checking out the controls on the developers page) such as seeing as to which building you are supposed to throw the pizzas, otherwise it's a fun game that will keep you occupied for a while but probably not a game you would come back to over and again (unless you really enjoy delivering pizzas in a snow globe!). You can download Every World has a Pizzeria here for free.